I’m a Homemaker – Can I Collect Social Security Benefits if I’ve Never Worked? If you think you don’t meet the qualifications to collect Social Security benefits, you are most likely wrong. Whether you call yourself a homemaker, a housewife, or a stay-at-home-mom, you are entitled to collect Social Security spousal benefits – even if you’ve never worked outside of the home a day in your life! – Although, you’ve never had a paying job where an employer withheld Social Security taxes. – Or, you’ve worked a part-time or temporary job when the kids were in school, but you didn’t work long enough to earn enough credits to qualify for benefits. – Maybe, you and your husband owned a business, you earned a salary and paid into your Social Security account. However, for whatever reason, you didn’t reach the 40 credits you need in order to collect at retirement. You may have paid nothing into a Social Security account, or maybe you’ve contributed very little. It doesn’t matter! You can start collecting a check from Social Security at age 62. I know because I’m doing it. However, there are a few things you need to consider before applying. Let’s take a look at them in more detail. Three things you need to know before you file. Did your husband pay into Social Security? Is he already collecting benefits? Perfect! As long as your husband is collecting retirement or disability benefits from Social Security, you can file to receive social security spousal benefits as well. The amount you will receive from Social Security will be about half of your husband’s benefit amount. For example, if your husband is collecting $1,200, your check should be around $600.00. Note that you cannot collect until you are at least 62 years old. Also, the checks won’t start coming for a couple of months. In light of that, I recommend filing online 2 to 3 months prior to your 62nd birthday. That way, if there are any questions you need to answer, you can take care of them well in advance. A noteworthy point to mention – when filing, make sure to note that you are filing for spousal benefits. If the Social Security Administration replies with a letter that states that you are ineligible for benefits, don’t accept that determination so easily. Contact them and tell them that you are applying for spousal benefits – benefits not based on your work history, but your husband’s. If your husband has died and you are a widow, you can collect survivors benefits beginning at age 60. As long as your husband worked long enough to qualify for benefits, you can apply. Typically, a person needs to earn wages from a job or self-employment for at least 10 years or earn 40 credits. However, the younger a person is when they died the fewer credits needed in order to collect survivors benefits. Important – You cannot apply for these benefits online. Check the details on survivors benefits on the Social Security Administration’s website for more details. In addition to survivors benefits, you may qualify for a one-time payment of $255.00 if you were living with your husband at the time of his death, or were receiving benefits on his record. Are you divorced, but were married for at least 10 years or more? Are you unmarried? At least 62 years old? If yes, you may be able to collect benefits on your ex-husband’s earnings record, even if he has remarried. There are 2 major considerations for determining if benefits are available to you. And, your ex-husband is entitled to Social Security retirement benefits or disability benefits. If you worked after your divorce, you may qualify to collect Social Security on your own earnings record. However, the amount could be less than your ex-husband’s. The Social Security Administration takes this into account. You may receive an additional amount based on your ex-husband’s earnings record. The Social Security Administration will combine your and your ex-husband’s benefit amounts and pay you the highest sum of money available, based on their calculations. Note: If you remarry your benefits generally end unless that marriage later ends in divorce, death, or annulment. Social Security benefits tend to be a bit more complex for divorcees. I suggest visiting this Retirement Benefits Planner page to get a complete understanding of your options. In case you’re wondering how your collecting after divorce affects your ex-husband’s account, it doesn’t. He still gets his full amount regardless of what you receive from Social Security. 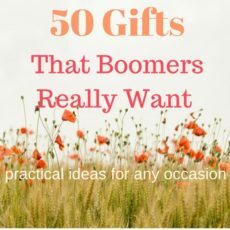 The book selections below are my affiliate links to Amazon and may help you with your Social Security journey. The first thing you’ll want to do is open your own social security account. Opening a My Social Security account online is easy. It’s just like signing up for any other account you’ve opened online. Once you’ve done that, it makes filing for Social Security spousal benefits a breeze. This video explains how an account can benefit you and some of the things you can do with your online account. If you’ve been a housewife raising a family, worked temporarily outside of the home, or made money with your husband, but did not earn credits to collect Social Security benefits, you can apply for and receive spousal benefits. Furthermore, if you are a widow, or are divorced, you are entitled to Social Security benefits as well. Are you a homemaker? Have you applied for Social Security spousal benefits?